hello, just got my station. content arrived with no issues in carton box (10x24x17cm) with some newspaper as filling. pcb was inside a zip bag, the pcb sharp corners tore through the plastic bag and were exposed. the kit didn't come with the 3mm LEDs, luckily i ordered a LED kit a while ago. there are built in smd leds, which i failed to notice. the holes are to connect to an external led. 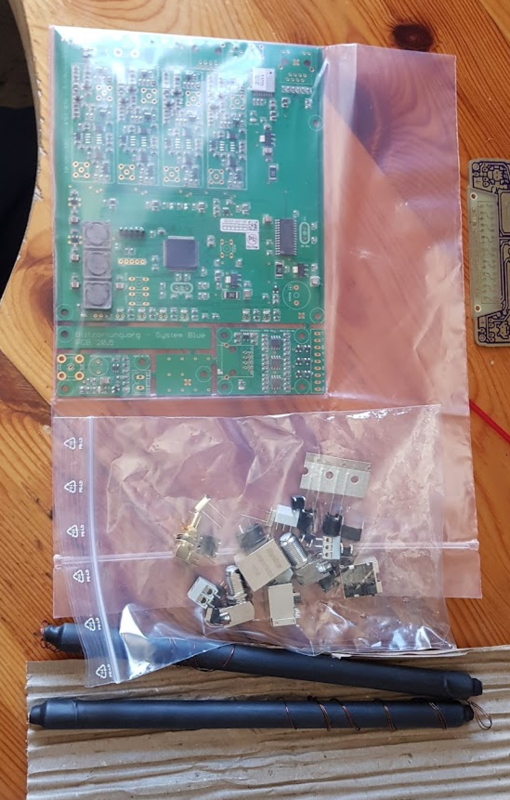 i started soldering with my chinese soldering station but i felt it didn't have enough power for handling the F/SMA connectors. even the ethernet grounds gave it a fight. so switched to the metcal SP-200 with a fat head. it handled the rest well. with a bit of flux for some. 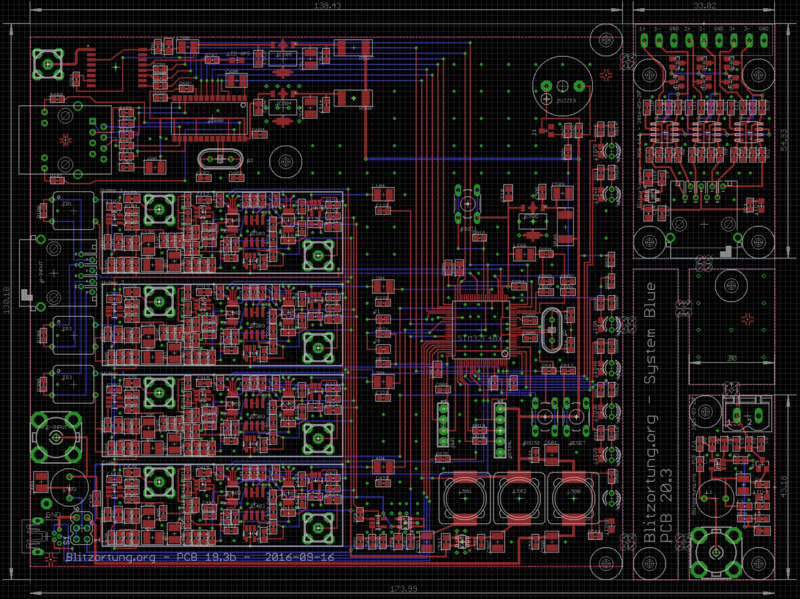 i sent my "finished" board picture to @tonuonu (who nudged me into blitzortung) and i noticed i switched the ethernet and mcu crystals. so i had to do a little rework. 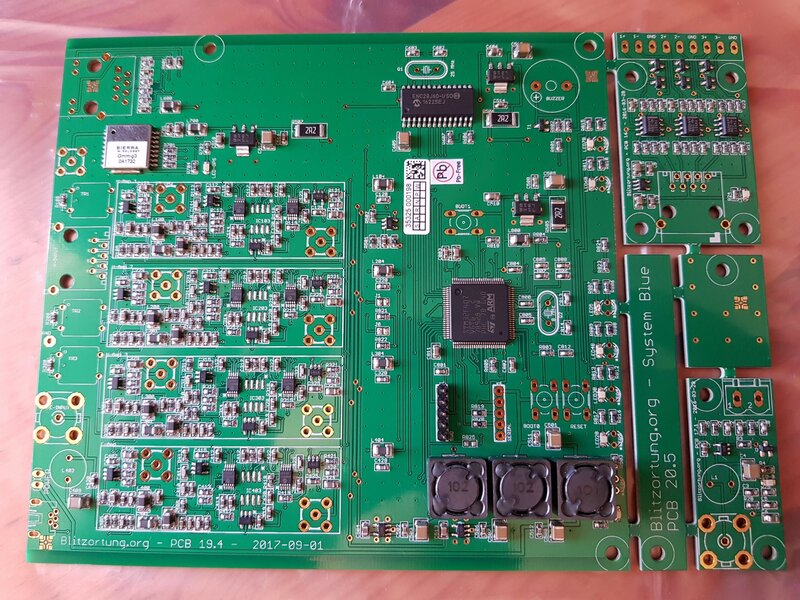 Quote: "The main board is supplied with a 5V USB power adapter. The plug must be a USB-B Mini 5 pin. The power supply is not part of the kit. It must be purchased separately. The power consumption is about 450mA. Please use a 1A or bigger power supply. We have made bad experiences with 500mA power supplies." 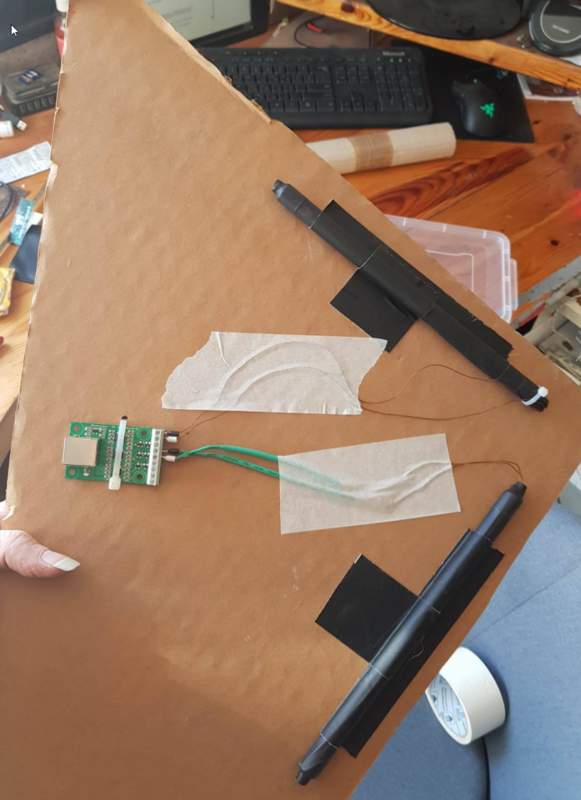 first test with a power bank and a "usb doctor"
Quote: You can use any GPS antenna operating with 3.5 Volts. 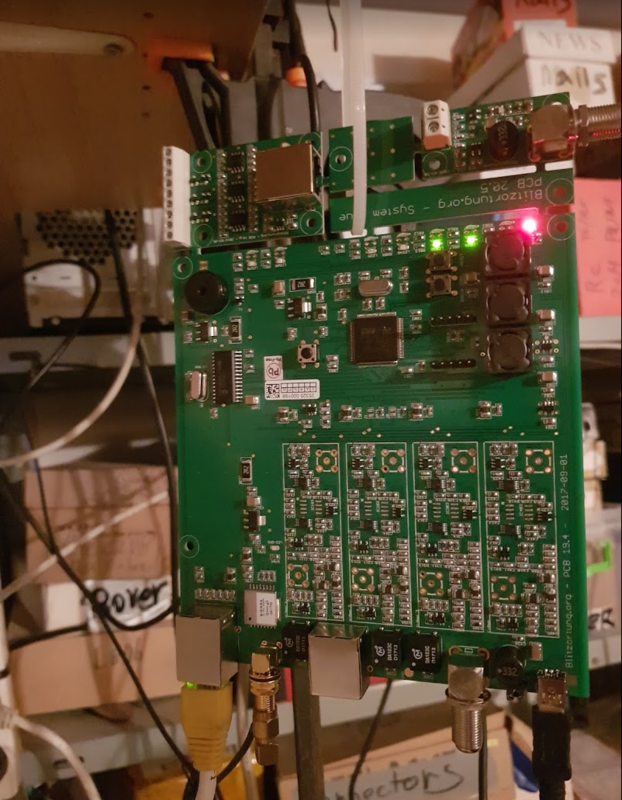 The Antenna is connected via an SMA connector with the main board. 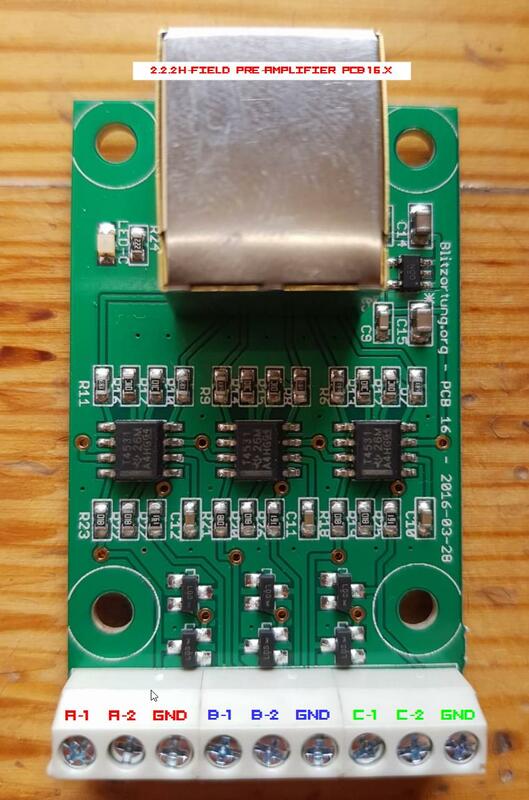 The built in GPS module is very sensitive and works with antennas connected by lines of up to 10 meters. 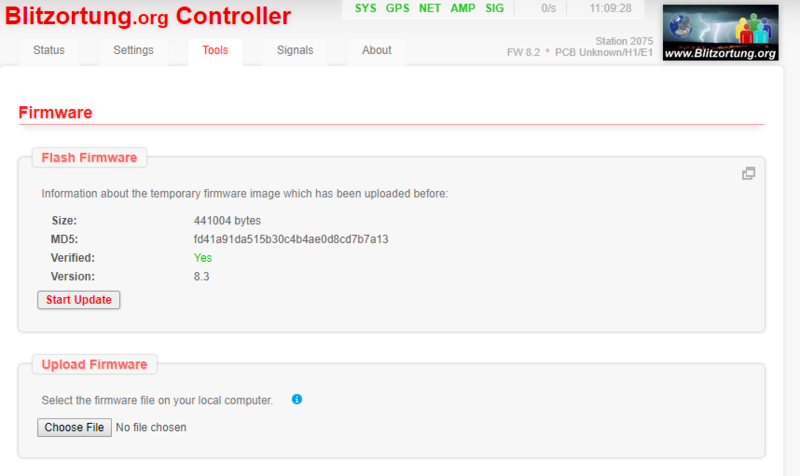 on first boot and after connecting GPS and ethernet i got DHCP address and encountered the "PCB Unknown" error. i got 2 ferrite antennas in my order. 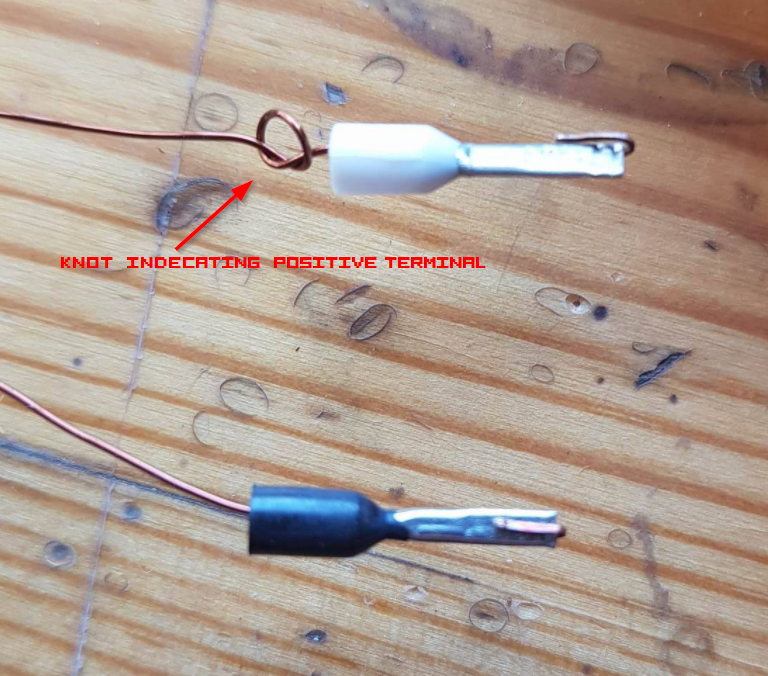 [...] strip the insulation of the copper enameled wires, before the blank copper wires can be soldered to the amplifier board. instead of soldering the Ferrite wire to the amp board (PCB16) i burnt the ends and crimped it. 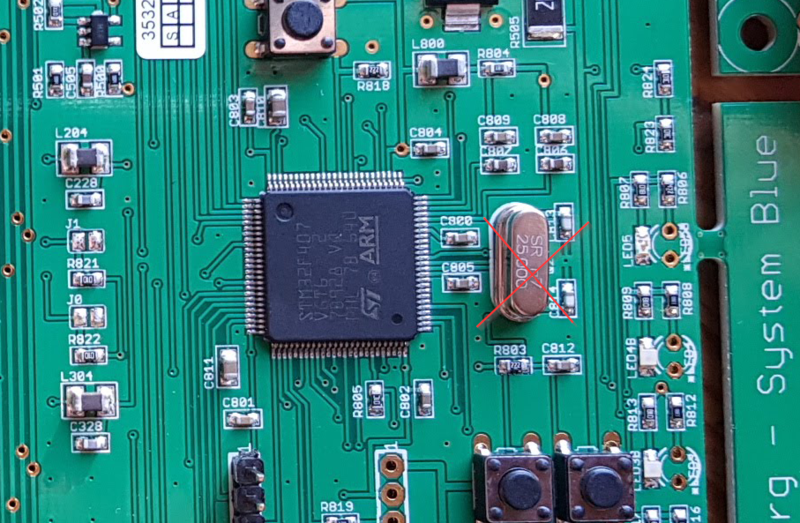 Does the new boards GPS modules have Galileo working? 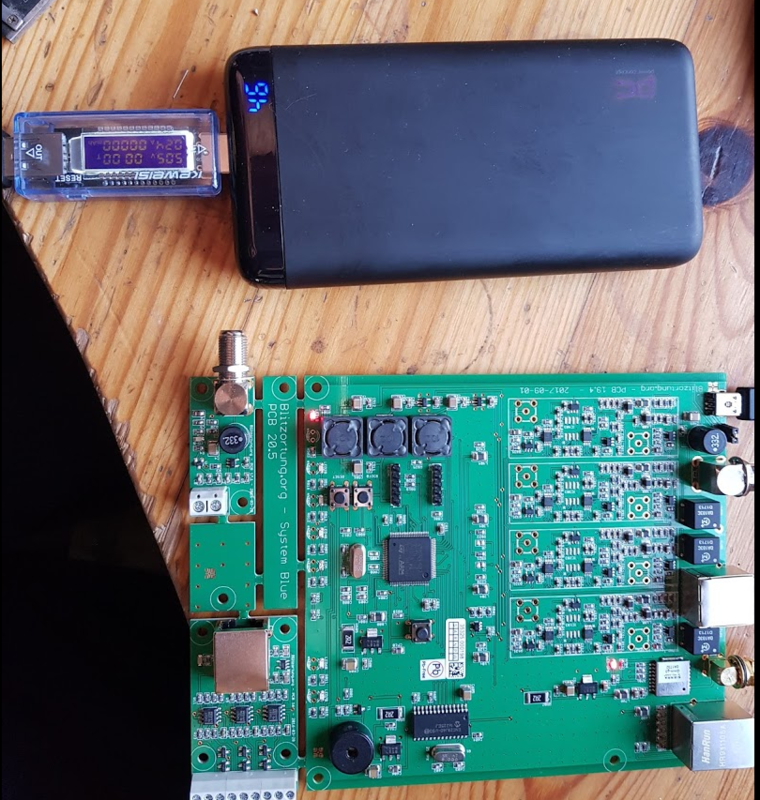 (2017-12-10, 01:34)kevinmcc Wrote: Does the new boards GPS modules have Galileo working? Nope. At least my 19.4 does not. But of course Egon may start to ship ones with GNSS with new firmware. i switched "experimental gallio mode" on and it feels like totally messed my station. (2017-12-16, 23:22)yair Wrote: why galileo support? Galileo is new European GPS system and much more accurate. Support for GPS, Galileo, and Glonass should help with those that have limited view of the sky and use all three to find a position. Galileo being more accurate than GPS, 1m vs 5m, that may be helpful. I am not sure about timing accuracy. Off topic here, but some information regarding Galileo: It may improve the position accuracy, but that's not important for our purpose. It doesn't significantly improve the timing accuracy (1PPS pulse). It could even make it worse. The module on the PCB will never be shipped with a Galileo enabled. This is only possible via special beta firmware for the GNSS module.